In his new movie Boy Erased, the Australian actor and director Joel Edgerton takes us inside a Christian program that is supposed to "cure" people of homosexuality. Edgerton himself plays the practitioner of a discredited treatment known as conversion therapy. "Garrard even acknowledges that part of making the film has been therapeutic for him," Edgerton says. "To watch his own story and realize that over the years, as he's said, 'Look, I willingly signed up to this thing' — but if you notice before he willingly signed up, he was told that it was no longer really going to be possible for him to live with his family. And then he was given the choice: All right, will you go to this place? I mean, a lot of kids at that age, even into their 20s, don't have the agency to turn this into a short story, which is like: 'Well, no thanks, mom and dad, I'll see you later, I'm moving to New York.'" "I would have made exactly the same choice as him. So I call it duress," Edgerton also says. Joel Edgerton (center) directed Boy Erased, which stars Lucas Hedges (left) as a college student sent away to a gay "conversion therapy" center. I think if the book had just been what I expected it to be and that were just blood on the pages and just I could cut-and-dry judge everybody, I probably wouldn't have made that movie, 'cause that's just torture. The fact that his mother and his father, to a certain degree, are willing to acknowledge the mistake — that made it worth the year and a half to turn it into a movie, because I wanted to tell a hopeful story. And a lot of churches and ministries are welcoming of LGBTQ people. But at the same time, exclusion is just a part of society. It's just such a shame. Sometimes the problem is: Silence creates the atmosphere that, when somebody is saying the wrong things, if nobody speaks up, there's a leniency to that that somehow makes that person feel it's OK to behave that way. I'm really keen to shove this movie to as many parents as possible. ... It's about the decisions we make. You know, Garrard would not have gone through all of this if his parents had had better information. I think this is a really good identifier, a roadmap for seeing a couple of people who maybe steered the ship in the wrong direction, and then were willing, in their own separate ways, to re-examine that direction. Tough thing is: There's always a willing audience, and those people will definitely see the movie. It's like, how do you get people to see the film who maybe do need their minds changed a little bit? I don't know. If anybody knows, we're keen to hear. In his new movie, "Boy Erased," the Australian actor and director Joel Edgerton takes us inside a Christian program that is supposed to, quote, "cure people of homosexuality." JOEL EDGERTON: (As Victor Sykes) We are about to go on an amazing journey together. So who's ready? That was a question. Who's ready? Say amen. UNIDENTIFIED ACTORS: (As characters) Amen. 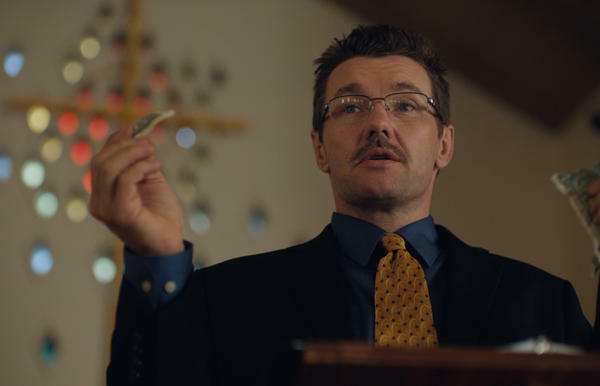 EDGERTON: (As Victor Sykes) If you know you're worth a dollar, say amen. EDGERTON: (As Victor Sykes) Welcome to the refuge program. Come on. GREENE: That is Edgerton himself playing the practitioner of a discredited treatment that is known as conversion therapy. This film is based on the true story of a survivor who entered a program like that at age 19 and later wrote about it in the book called "Boy Erased." To make the film, Edgerton consulted closely with the author, Garrard Conley, who is still coming to terms with what he went through. 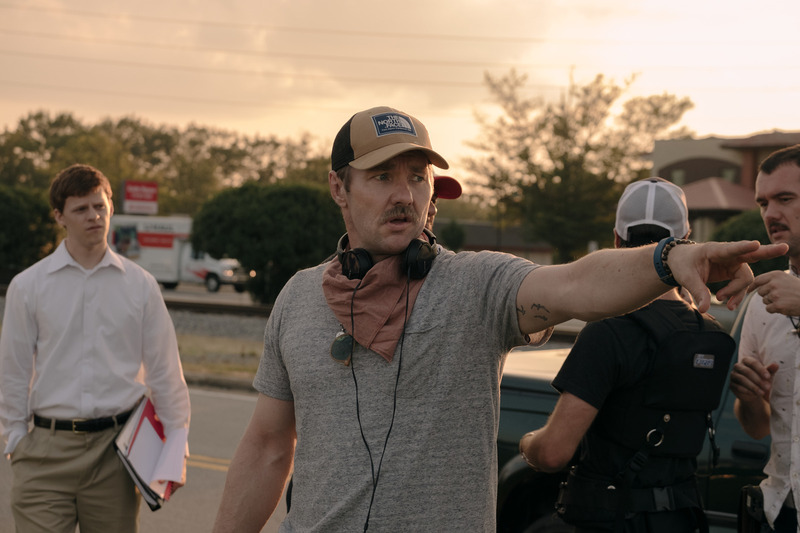 EDGERTON: Garrard even acknowledges that part of making the film has been therapeutic for him to watch his own story and realize that over the years, as he said, look, I willingly signed up to this thing. But if you notice, before he willingly signed up, he was told that it was no longer really going to be possible for him to live with his family. And then he was given the choice - all right. Will you go to this place? I mean, a lot of kids at that age, even into their 20s, don't have the agency to turn this into a short story, which is like, well, no thanks, Mom and Dad. I'll see you later. I'm moving to New York. You know? EDGERTON: Yeah. I would've made exactly the same choice as him. And so I'd call it duress. GREENE: Take us to in the therapy in the film because you're playing the director, and what happens in there? EDGERTON: (As Victor Sykes) Now, this may be the toughest but most rewarding 12 days that many of you will ever face. But we have just one task, to bring ourselves back to God. First of all, it's laying the foundation of suggesting that homosexuality can sever your relationship with God. You know, the idea that kids had to get up in front of the group, list their sexual indiscretions, you'd have to - I've never. Like, I've never had to stand up in front of a group and imagine having to read the things that I've done sexually and then apologize for them and ask for forgiveness. GREENE: Can I just ask you - your decision to make his parents seem almost sympathetic, it was almost like you wanted us to understand why they might not want their son to be gay, why they might want to put him through this. EDGERTON: Well, it's worth winding back to why I picked the book up in the first place. EDGERTON: When I heard about the book, when it was given to me, I was like, this is, like, a cult religious institution that I'd never really got insight into. And also as a morbid curiosity, I was like, there's going to be blood on these pages and it's going to be madness. And what happened when I read the book was, I was met with this complication I hadn't envisaged, which was I'd come to the book assuming that the people that sent the kids there were hateful people, that the people that worked at the facility were hateful, profiteering people. But I didn't judge the parents, and I didn't judge the staff because I realized that they were actually doing what they were doing out of love. Given the information they had in the belief system that they lived within, they thought they were trying to help. And the result of the book was that Martha, Garrard's mother, realized that what she thought she was doing to her son to help him actually had hurt him, and she was willing to acknowledge that it was a mistake and apologize to him. And beyond that, she was willing to really re-examine her faith because it excluded the person she loved the most. GREENE: And that evolution in his mom, like, I just - you just think about that tension. Like, how long do you give parents to come around if they're treating their son in such an incredibly cruel and unloving way? EDGERTON: And I think if the book had just been what I expected it to be and that there were just blood on the pages and I just could cut and dry judge everybody, I probably wouldn't have made that movie 'cause that's just torture. The fact that his mother and his father to a certain degree are willing to acknowledge their mistake, that made it worth the year and a half to turn it into a movie because I wanted to tell a hopeful story. GREENE: You say hopeful, but I think about our country. And, I mean, as you know in the movie, there are still dozens of states that still allow this therapy. And I think there are a lot of deeply religious Americans who still probably believe in it. Right? EDGERTON: Well, definitely still believe in the reasons why conversion therapy exists. If you still firmly believe that sexuality is choice and that it can be reoriented then that is the fertile ground with which conversion therapy sprung up. GREENE: And there are probably a lot of Americans who see homosexuality in this way, which makes me wonder, when you say hopeful, like, what do you mean by that? EDGERTON: Well, one of my hopeful thoughts is that within a congregation of, say, a hundred people, there might be only three or four or five extreme beliefs. But I think there's a lot of open-hearted, open-minded people in those same congregations who, if they had a chance to secretly sit in a room and watch a movie like "Boy Erased," I truly believe that the bigger portion of that room would be willing to listen. GREENE: Even many in the evangelical community are beginning to discredit this therapy. GREENE: So is that what you're trying to accomplish with the movie, in a way? EDGERTON: I'm really keen to show this movie to as many parents as possible. GREENE: Why parents? Why do you want them to see it so much? EDGERTON: It's about the decisions we make. You know, Garrard would not have gone through all of this if his parents had had better information. I think this is a really good identifier, a road map, for seeing a couple of people who maybe steered the ship in the wrong direction and then were willing in their own separate ways to re-examine that direction. Tough thing is, there's always a willing audience, and those people will definitely see the movie. How do you get people to see the film who maybe do need their minds changed a little bit? I don't know. If anybody knows, we're keen to hear. GREENE: Joel, thanks a lot. GREENE: That was Joel Edgerton. He directed and starred in the new film, "Boy Erased." TROYE SIVAN AND JONSI: (Singing) You're a revelation. Won't you liberate me now? Transcript provided by NPR, Copyright NPR.